CULL ENDS but does the KILLING? The Forestry Commission have just announced that they have ceased their cull of wild boar having achieved their target of 100 animals. Although still to be confirmed, we believe that rangers killed about 75 animals, with another 25 or so succumbing to road traffic accidents since the cull started back in September 2012. We are happy to see that road casualties are now being taken into consideration by the Forestry Commission. 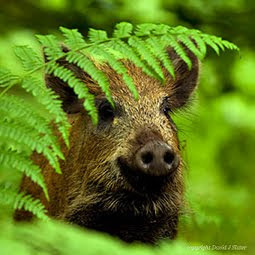 This is a positive move forwards in the management and conservation of wild boar. Up until now boar casualties have never been considered in the cull undertaken by the Forestry Commission, and neither has boar killed by poaching, legal shooting or moving out of the forest. 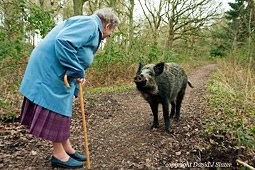 It has been a past criticism of the Forestry Commission that the failure to take account of boar disappearing by other means was promoted by the income stream that the FC are gaining from sale of boar meat. It may interest people that road casualties are not sold for meat. So this is hopefully a sign of improvement in managing the boar. 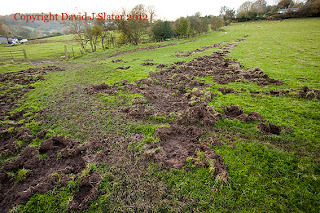 Furthermore, boar sightings have been way down since last September when culling was resumed, but rather than worry about numbers of boar falling to unsustainable levels, the small degree of grass diggings lends support that the boar are in no danger of eradication, but certainly depleted in numbers as we come up to the main birthing season. Since the cull began back in September, there has been an almost continual furore here about wild boar invading farms and villages. Boar behaviour is such that they prefer to group together before leaving the safety of the Forest in search of new territory, so reports have tended to be of boar numbering up to 30 at a time. 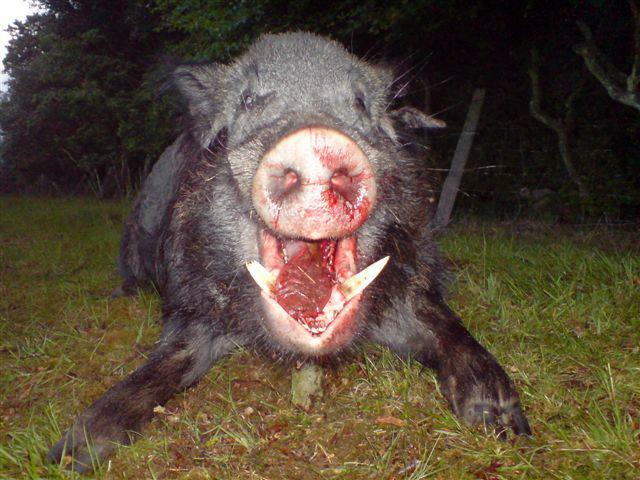 This of course distorts public perception of boar numbers in the Forest. Little do people realise that only a few groups of boar (2 or 3) leave the Forest each year, but when they do, they leave in largish numbers. Nor do they always leave immediately and forever, but may go back to the Forest if they sense danger. 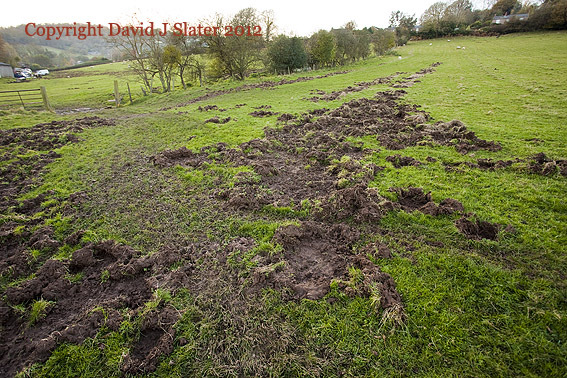 Farmland dug by several Wild Boar in October 2012. This farm borders the Forest of Dean and is evidence that wild boar do leave the Forest each year. 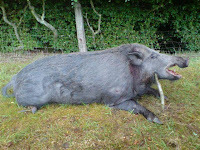 Friends of the Boar can corroborate some of the reports of boar in farmland. These reports of course are firm evidence that boar do leave the Forest and should be taken into account in a scientifically defensible management plan. What is slightly worrying to us is the huge increase in road casualties in just 4 months (October - January). Research in the US indicates deer casualties rise during culling seasons due to panicking animals being pursued or shot at. We cannot confirm this here because only a single closed season as occured. We await further information to arrive at a reason for rises in road casualties. Other factors that increase road casualties may be orphaned piglets having no road sense. This has been previously blogged here, and may still be valid. Other reasons may be when entire sounders with little piglets cross roads and casualties are numerous in single incidents with lorries for example, and even half-dissected carcasses being thrown from poachers' vehicles may also be considered. In December 2012, Friends of the Boar received information and photographs of a boar shoot in the Forest of Dean. Details are still being sought, and we cannot at the moment say if this shoot was legal or not and must assume that it was legal. 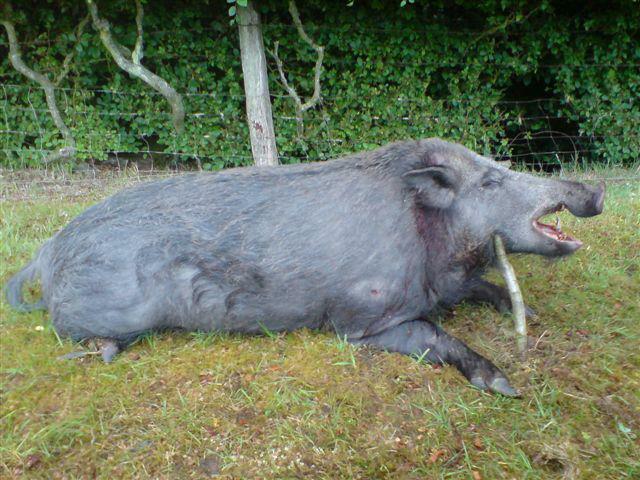 But we post the photos here for your perusal if only to highlight the entirely distasteful and disgusting way that some hunters see our wild boar as trophies to be propped up and teeth ripped out for its bragging value. We appreciate these may be shocking images, but it is important that people know what is taking place in their public Forest and near their homes. 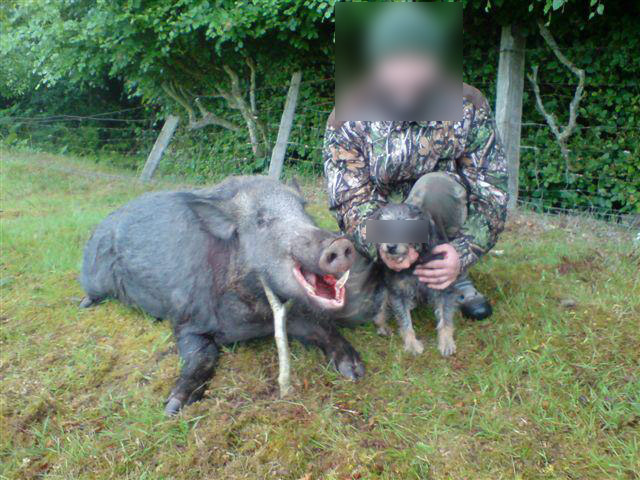 At the moment we do not believe people are informed enough about the shocking reality and image of boar hunting. Anyone with comments please do leave them for all to see, or get in touch with us via e-mail which you can find in the side-bar under Contact. Look out for the next posting, which will follow unusually quickly, so we can bring you up to date on what we have been doing to help local residents with boar rooting in gardens. We also urgently need to tell you what has happened over Christmas regarding Friends of the Boar itself. We may need your support more than ever if we are to continue. 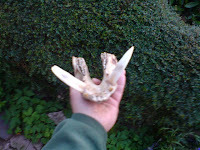 We also want to present evidence about the genetic purity of wild boar here in the Forest of Dean.